Emporium’s Ecowood Plantation Shutters bring you all the appeal of timber shutters at a price that will make you smile. With excellent moisture resistance, they are ideal for bathrooms, kitchens and homes in high humidity areas. 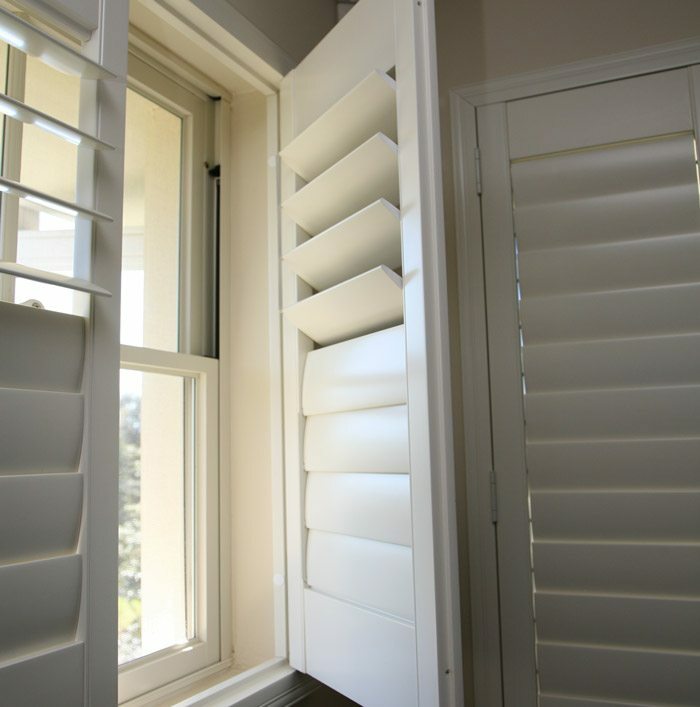 Ecowood Plantation Shutters are made of a composite of engineered wood (MDF) wrapped in a vinyl or PVC coating. They are very sturdy and require no painting, oiling or staining. They offer an affordable alternative to wood shutters while still contributing to the aesthetics of your home, inside and out. To speak with one of our friendly staff, visit our impressive showroom, call +61 4393 2100, email [email protected] or go to our Contact page. Our free measure and quote services covers the entire Central Coast, the lower Hunter and Newcastle, Hornsby and Kuring-gai Shires. We are happy to go further if you have a big job. To speak with one of our friendly staff, please call +61 4393 2100 or send us an e-mail.